The weekend is just two days away, and I am already preparing a list of things to do. In fact, I am planning on watching a new movie. Hope the plan materializes. Been quiet some time since I saw a movie in theatres. Coming to the product under review today, it's a fabulous body lotion by Iraya. 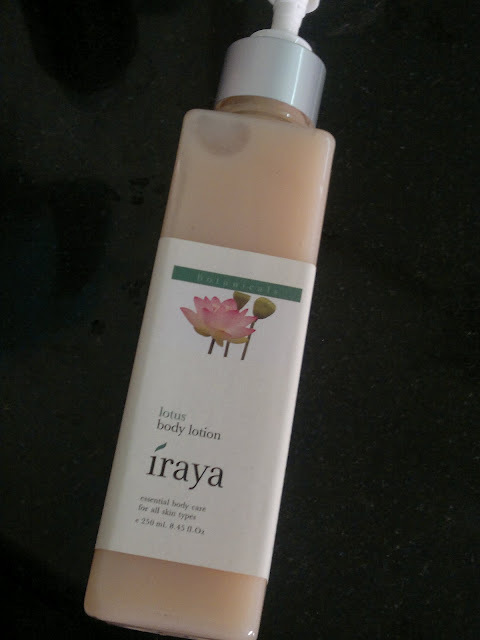 I am loving Iraya products a lot these days. This is one of them. Price: INR for 250 ml of the product (got this on a discounted price of INR ). 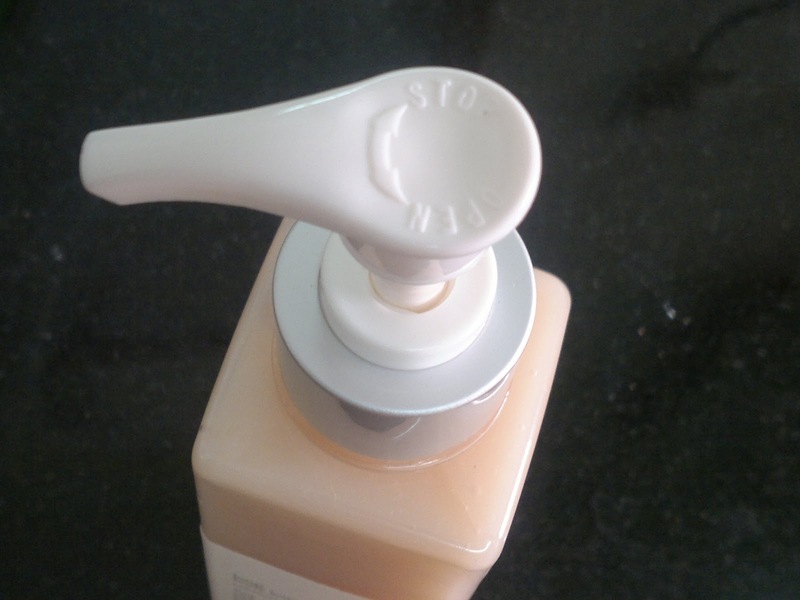 Packaging is quiet nice and user friendly with a pump for dispensing the product for usage. The pump is pretty sturdy but I have to see how it would fare during travel. If I had to sum up my review of this body lotion, it would read something like this "I quiet like this body lotion period". The best part is the soft spa like fragrance of the body lotion, never expected this one to smell so good. The next thing that struck me was that since it's hot and summery here the body lotion would feel heavy and won't absorb into my skin, wrong on both accounts. Though looks thick it spreads easily on the skin and is absorbed within minutes. 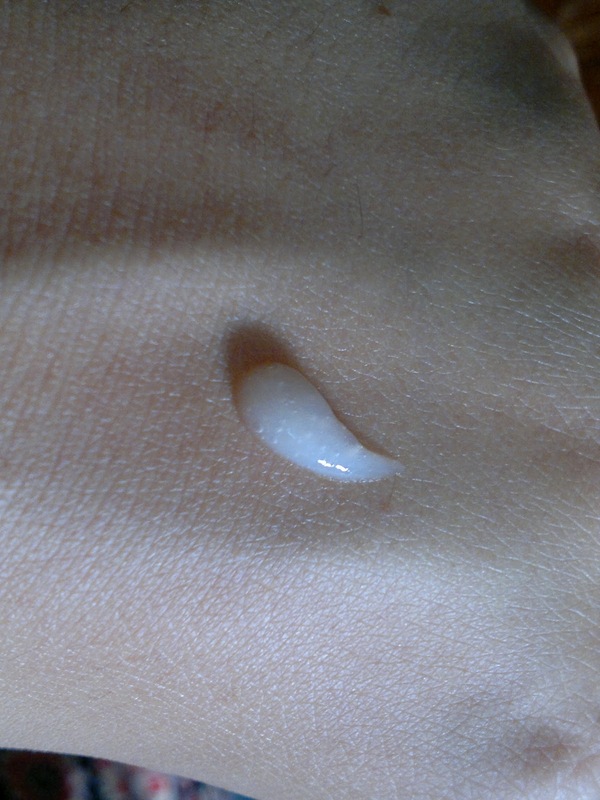 Though it claims to reduce stretch marks over a period of time, I have to keep testing it. I do have some stretch marks after pregnancy :(. 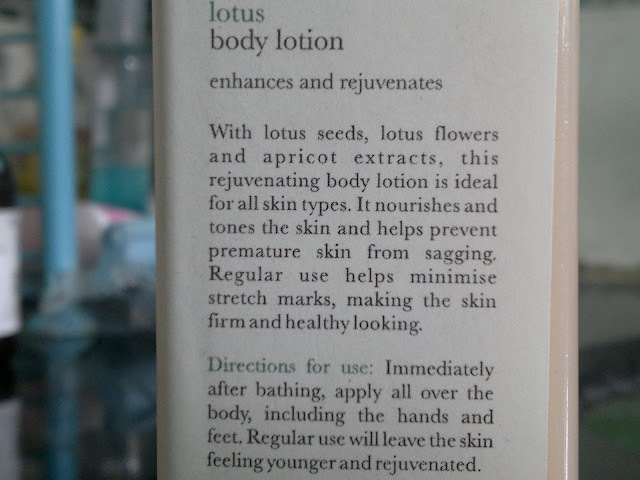 I have never felt the need to moisturize again in the evenings with this body lotion, so even though it is light, it keeps the skin moisturised for longer durations. I have normal to oily skin in summers and it suits my body perfectly. Never broke my skin out or over-moisturized it. Just feels perfect on the skin. I have used it during the last days of winters here, when my skin is a bit dry and it fared equally well at that time also. 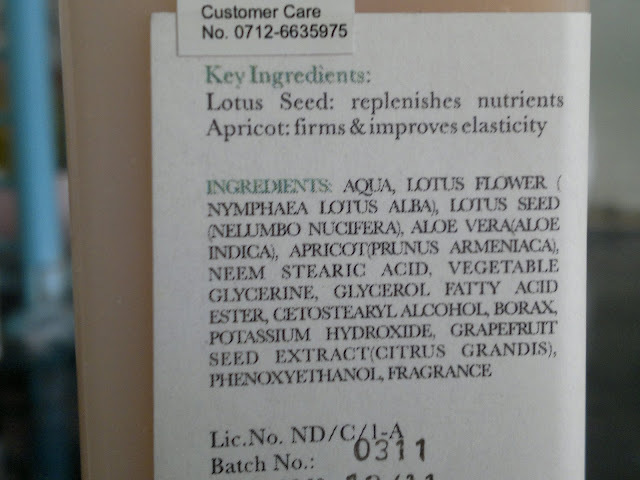 Product rating: A, available at Iraya outlets and online shopping websites. Would definitely recommend this to all of you, may not be very effective for girls with super dry skin, but would surely suit everyone in this hot weather when you don't feel like applying anything ( a big mistake, which I am trying to correct of late). wow.. this is looks good with the no chip chip after effect.. nice review kumkum as always.